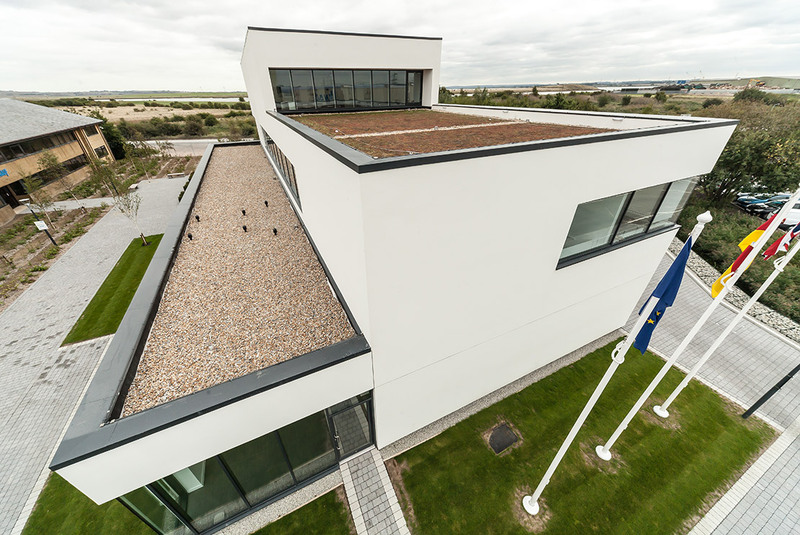 For a striking modernist building overlooking the marshlands of North Kent, leading flat roof system provider Radmat Building Products have supplied a guaranteed roofing system which is set to deliver the high standards of environmental performance and long term waterproofing integrity. 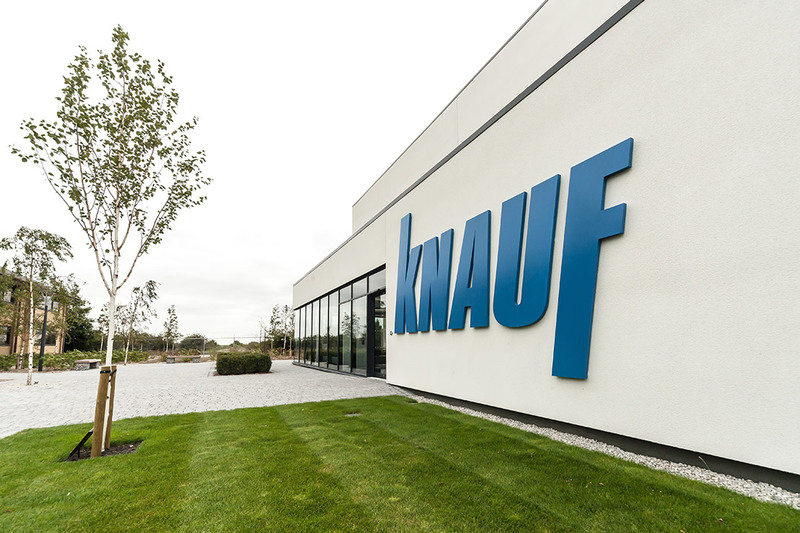 The new building near Sittingbourne – referred to as The Cube – has been designed by architects Allford Hall Monaghan Morris (AHMM) for Knauf UK and contains a reception area, product gallery, technical support office, seminar and boardroom facilities and a drywall training school. 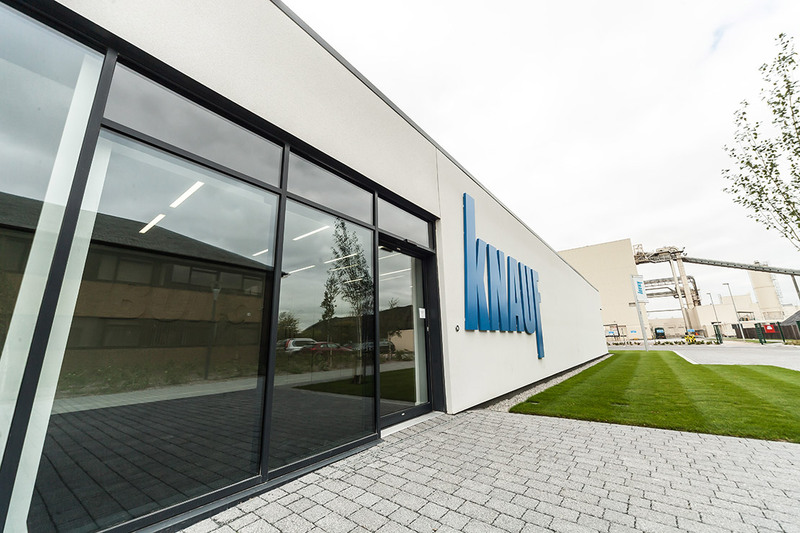 With environmental considerations at the forefront of the challenging split level design, the roof coverings formed a key part of the building’s sustainability strategy and helped the building achieving a BREEAM Very Good rating. AHMM specified the Radmat EshaUniversal Single Layer Waterproofing System and MedO Green Roof System to ensure a guaranteed, watertight, high performance system. Offering ease of application and suitable for a wide range of applications including warm roofs, inverted roofs, loose laid ballasted roofs and green roofs, EshaUniversal is manufactured from recycled materials and is 100% recyclable. This shrink-free, low embodied energy membrane is flexible, stable and durable. For the 850m2 roof area, Radmat Approved Contractor Premier Roofing Systems Limited installed the EshaUniversal membrane over both metal and concrete decking along with an EshaBase vapour control layer and ProTherm thermal insulation. 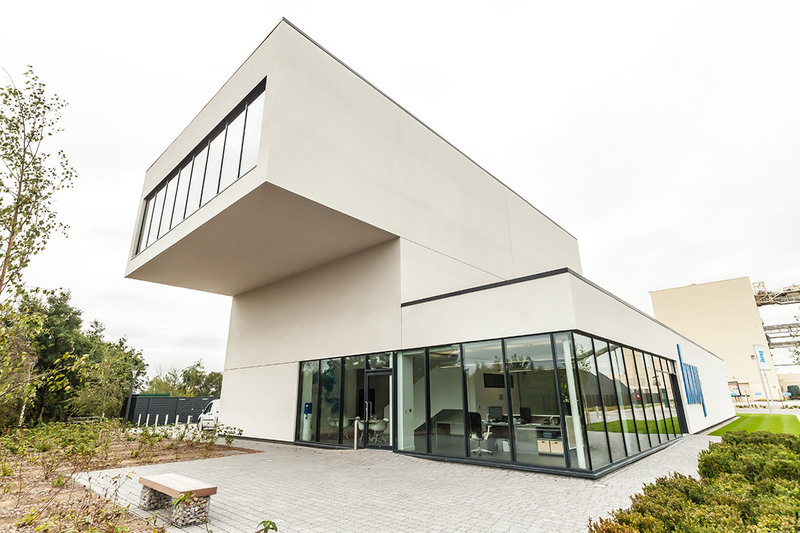 The mid-level roof incorporates EshaUniversal with a 250m MedO Extensive Sedum green roof which the top level seminar room looks out over. The completed building has strong ‘green’ credentials. 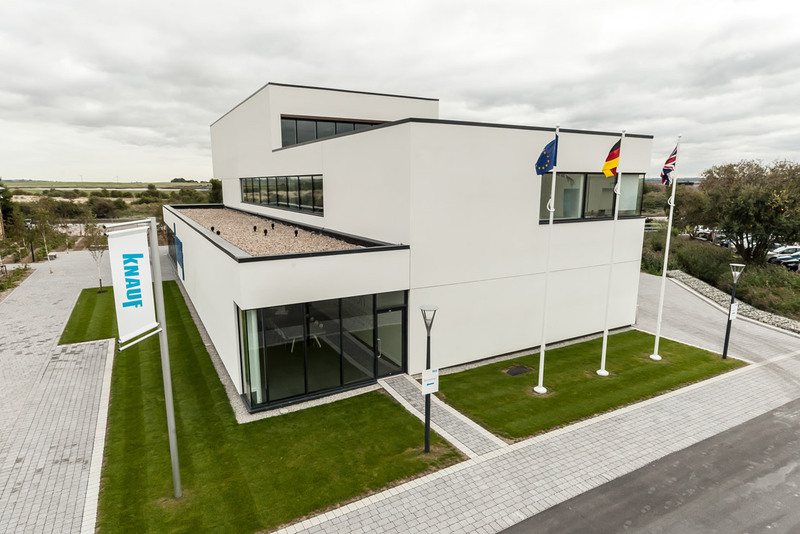 Alongside the sustainable MedO Extensive Sedum roof it features a highly insulated and airtight building envelope, PV panels, energy efficient lighting, low flush toilets, drainage design and reduced waste to landfill. 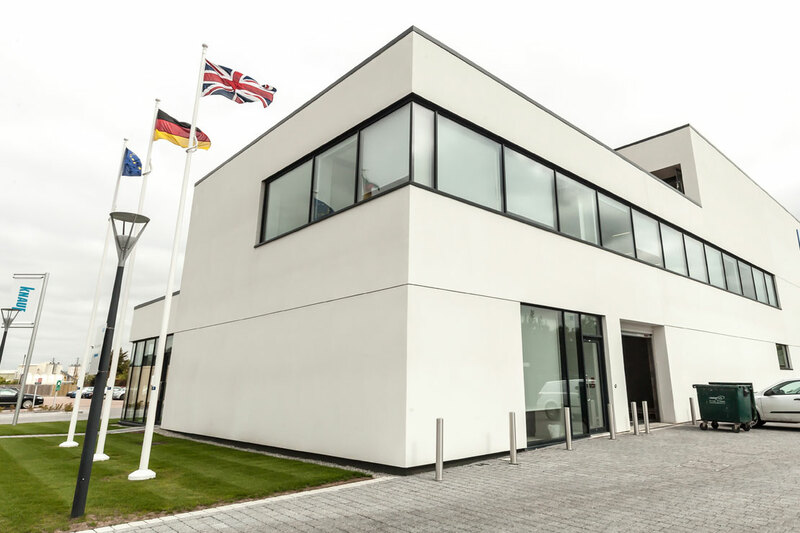 With Radmat involved in every step of the process from design through to completion and offering comprehensive technical support, the specification of the EshaUniversal System has played a key part in helping to deliver a guaranteed and versatile roofing system which will protect the building from the elements for years to come.